Sunny Health & Fitness SF-B2605 Magnetic Folding Exercise Bike – This era is all about fitness. Everyone wants to be fit and healthy, but not all of them has got time for gyming so they buy the equipment needed for it, and one of the most popular gyming equipment is exercise bikes. Today we are here with a newly launched bike known as Sunny Health and Fitness SF-B2605 Magnetic Folding Bike. This is a foldable bike which is ideal for losing weight and staying fit without going to gym. In this article, we will talk about some merits and demerits of it. Also, we will tell you some of the customer reviews for it. So, let’s begin. Strong: You will find this bike very robust and sturdy, though it is foldable and by this people assume that it may not be adamant, but it is. High resistance: This bike is equipped with eight resistance level which can be adjusted by a small knob in the bike. It uses magnetic tension system. Display: This bike has a very basic LCD as this only keep checks on time, distance, speed and how many calories are burned which is satisfactory for a bike of this price range. Portable: As this is foldable, it is very easy to keep it anywhere in your house, and it won’t take much space. Comfort: This has a very comfortable adjustable large seat. Smooth experience: Though it has no flywheel, still it is very smooth and doesn’t produce much noise. Affordable: This bike comes with a very reasonable price. Less Sensors: In this bike, there won’t be any heart beat monitoring system which will tell you the pulse rate as you can see that this bike doesn’t have any hand grip sensor which detects your heart beats and then give you your heart beat rate. Limited Weight: As this machine can only take the weight up to 220 pounds, anyone above this weight cannot use it. Otherwise, it will be unstable and very dangerous. Well, for new-bees this isn’t a problem at all but for people who uses this daily faces problem with resistance. The lowest resistance doesn’t even make any difference, and the highest as well isn’t that hard. People love this bike as this gives a great performance and you can easily use it for your daily workouts. You can use this bike anywhere in your house even while watching TV which people are adoring. Also, people are amazed by the cozy seats. The only facts which disturb them are that it doesn’t monitor pulse rate. Well, according to me this bike can help you with your daily workouts, and you don’t have to visit gyms a lot. With this, you can tone your body and burn the calories. Also, you can use it anywhere and easily fold it back. Plus, this comes with an affordable price. The only negative is that it doesn’t monitor pulse rate, but if you a new-bee and want it to use just for fitness then you must consider buying it. 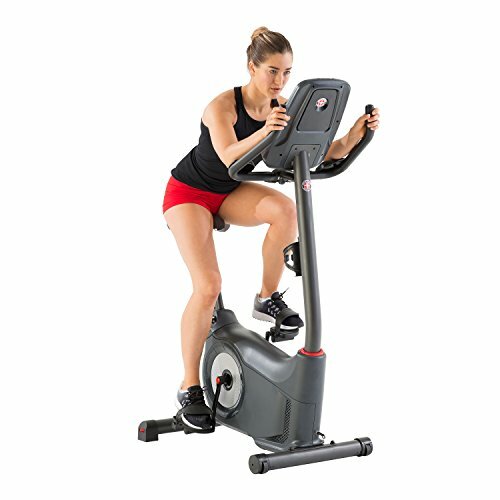 The Marcy Club Revolution Cycle is an affordable indoor exercise cycle best suited for beginners and experienced riders. Highlights include 40 lbs flywheel, adjustable handlebars, and water bottle holder. A standard limited warranty of 2 years catches the deal. This is an all-rounder in fitness training at home. One of the best rated stationary exercise bikes for home, it is a must for all. The Marcy XJ 3220 has been top rated exercise bike for the year and comes with so many features. Value for money, this bike comes with adjustment features for both handle and seat. DURABLE STEEL CONSTRUCTION - The frame of this stationary bike is made of durable steel. It is resistant to rust and corrosion, as it is made of steel with sturdy welding points and a powder-coated finish. ERGONOMIC SEATING - This traineris ergonomically designed for optimum comfort and ease. It has a road bike-style saddlewith adjustable rubber foam paddle handle bars that adjusts vertically and a seat that can be adjusted both vertically and horizontally. SAFE TO USE -With its durable frame and construction, this equipment is easy and safe to control. Its solid pulley can support a maximum of 300lbs. of weight in a complete stand-up posture. This exercise bike also features a quick-stop mechanism that allows you to halt the wheel's momentum easily. GYM AT HOME - Enjoy the convenience of working out without leaving the comfort of your own home with an indoor bike that provides the same intensity and resistance as a road bike. Marcy Club Revolution Cycle: The cycle, as indicated by the name, will give you a complete experience of workout in club style and also without any monthly installment. Helping you in your real cardio workout, the cycle provides a natural and stable riding platform. With a 40lbs flywheel that supports variable manual resistance, the machine has a weighted construction. This massive designing makes the cycle stand for many years in your home. The cycle is designed keeping almost everyone’s body types in mind. It makes the muscles tone and define, burns fat and helps in losing weight, and workout on it targets mainly buttocks, hamstrings, and back portion. Balanced flywheel gives a smoother & continuous momentum to your riding. Manual resistance is easy to adjust. Dimensions are 40L x 20.5W x 43H inches. Weight capacity bearable: 300 lbs. Is Marcy Club Revolution Cycle the best spin exercise bike brand for you? Here are some factors to keep in mind before buying the bike. Adjustment Knobs: 4 level adjustment knobs are given under the stabilizer bars to level out the cycle when used on an uneven floor preventing any side to side movement. Smooth Flywheel: A 40lbs flywheel which is completely balanced offers a smooth riding on the cycle. Adjustable Handle Bars: The given handlebars are adjustable as according to the rider to maximize his efforts during the ride. Adjustable Basket Cage Pedals: The pedals are very smooth and adjustable. So, there is no any concern of your feet slipping out. Transportable: The transport wheels given in the machine are very flexible and easily allow the movement of the cycle. Adjustable Seat: The seat of the cycle is free to adjust either horizontally or vertically. Quick Stop: Being equipped with a secure brake system, the machine supports the rapid stop facility. Adjustable Resistance: Resistance knobs are very easy to use that allows you to increase and decrease the intensity of your ride. Easy Assembly: Most of the times, the product comes assembled. And the required left assembly is also very easy & straight forward that hardly takes one hour or even less sometimes. Sturdy Frame: There is no shaking like motion in the cycle no matter how hard you are riding. Little Maintenance: It requires little maintenance of the cycle in a day. Low Noise: While riding, a slight sound is created so that you can watch TV or can take your emergency calls without disturbing your workout. No Console: No any console or workout programs are included in the system. No Keeping of Book: You cannot place an MP3 player or a book or any tablet during your riding. Uncomfortable Seat: The provided seat is uncomfortable to sit. But you can change it with a more comfortable one. Dirt and Dust. A rubber exercise mat on the floor will protect it from being damaged by the lubricant and little dust particles released by the cycle. The users of this exercise cycle reviewed the bike and gave it an overall 4.0 ratings. One rated it as well-constructed, and very sturdy. For others, it is easy to put together, no noise at all, and smooth as well. However, a few number of people have some issues too. Read more reviews here. Still thinking to buy a recumbent exercise bike for use at home? or are you confused which brand or model to buy? Is budget your concern? Well, no more. Keep reading to find everything about the Nautilus R614 Recumbent bike in this post. The Nautilus R614 Recumbent bike is a perfect exercising bike for home, both for beginners and for experts. At a price of just $ 299, It is a low priced high-quality recumbent bike with backrest and an adjustable height that is easy to mount on. Nautilus R614 provides a perfect cardiovascular exercising experience with least impact on joints. And with a trusted brand name, quality and customer satisfaction are optimum with this bike. Let’s take a closer look at what this bike has to offer its users. Resistance: the Nautilus R614 Recumbent bike offers 20 different levels of resistance providing you with a wide range of the workout with variable intensity. Flywheel: perimeter weight flywheels that provide a smooth and consistent workout. Monitor: The bike comes with a heart rate monitor. The monitoring system also records speed, time, distance, calorie burned during exercising. Connectivity: Nautilus R614 provides USB data transfer and comes with in-console speaker compatible with iPod or Any MP3 player port. Cooling fan: this bike comes with an adjustable cooling fan that has three-speed levels. Transport wheels: now this exercising bike comes with transport wheels that facilitate smooth movement of the bike from one place to another. Well, these are quite superior features at this price; almost similar to its higher variant that is available for some few hundred dollars more. So why spend that extra money when you can get so much in so less. Right! So for your convenience, I have collected together some excellent piece of information that will help you further analyze your choice. Now quality is paramount, and one should not settle for any less quality than for what he is paying. Regarding this, the Nautilus has surpassed my price-quality ratio. The R614 is a high quality, well-built equipment that is durable and dependable. Other than this, the bike is very sturdy and stable in performance even at high speed, all thanks to its large foot pedals. Comfort quality is excellent as the seat is perfect broad and with back support. All in all, you wouldn’t get a more worthy bike in terms of quality and functionality at this price. The bike comes with water bottle holder so that you can keep yourself hydrated during the exercise. To make your training enjoyable and fun, the bike provides you with a media shelf. Comes with Two LCD backlit window to provide better tracking and visibility. Includes USB and Bluetooth connectivity for apps like MyFitnessPal and Nautilus Connect, so that you can easily download your workout data. A well-programmed exercise bike that has fun rides, challenges and mountain ride; three of each. Adding to this, It has two test programs that test your improvement in physical fitness. You can set the heart rate program at eight different levels. No expert assembly required. Assembly is easy and convenient with DIY instruction leaflet. 22 workout program at 20 resistance levels. Well, the only factor that I found missing was of use chest strap for monitoring heart rate, which in this case is done using handlebar grip. Not a big deal, though it’s competitors are offering it. Put it all together, what you get is a perfect recumbent exercise bike for home. The Nautilus R614 is offering you too much to its name without any drawbacks. About two dozen programmed exercise for beginner and experts, to take care of your fitness. Efficient exercising that you can track and transfer to record in your fitness app to manage your routine. And test program to check your fitness progress. What else can you ask for? Such features are found in many high priced exercise bike that is now available to you at a low price but reliable brand name. So, why are you waiting? Get your fitness on track right away with this well recommended recumbent exercise bike for home. Exercising is a must considering our changes in lifestyles and food preferences. Upright exercise bikes are great to work out at home or the gym. Some exercises can be done on this machine to reduce thigh fat, build thigh and calf muscles as well as burn excess calories. It is a great machine ideal for home use. Schwinn AD6 Airdyne Upright Exercise Bike is one of the most liked upright bikes in Airdyne Series. Highlights include BioSynch linkage system, RevMeter RPM gauge and 6 workout metrics in the console. A typical 15 years Frame Warranty catches the customer’s attraction. The bike is simply the best cardio machine to convince any customer for buying in its very first look. Providing superior performance and comfort is the priority of AD6. The durability of the bike is good enough to exercise with it at your home gym. You will find a new shrouding over ‘BioSynch linkage system’ safeguarding your workout on the bike. Large LCD offers desirable to display to the user. The frictionless fan also works well, assuring rider’s smooth workout. Brakes are free from friction. Having a unique RevMeter RPM gauge, it provides perfect interval training. The wind resistance given in the AD6 bike is exponential, providing your hard pedaling, the higher resistance. So, this was a thorough description of ‘Schwinn AD6 Airdyne Upright Bike’. Given below are few Cons & Pros for your help. New Console: The console layout is the new technology used on the bike. The New Console displays 6 workout metrics continuously. So, the rider has not to wait for any more for exercise readings as all critical data are shown at once. BioSynch linkage system: This linkage system is a very useful feature when looked from the user’s safety point of view. There is a new shrouding done on the BioSynch linkage system which justifies the safer workout of the rider. RevMeter RPM gauge: This new RPM gauge is the visual display that shows your efforts while riding the bike. It is perfect for interval training. Wind Resistance: The wind resistance supported in the bike can provide infinite resistance to your pedaling. The harder you will pedal, the greater will be the resistance offered. Fan: Being frictionless, the inbuilt fan is quiet making no noise. Padded Seat: The attached padded seat is enormous & comfortable. Workout: Workout on the machine is quiet easier than was ever. You can work out with your upper and lower body at the same time. You can also choose to work independently with them. Pedals: This time, the bike pedals are equipped with some new type foot straps that make the pedals self-balanced. This helps the biker in his motion control in a much better way. Transport Wheels: Some new type transport wheels are used in the machine. These are very much convenient for transportation. Stability: There is four levelers present that ensure stability. Water Bottle Holder: A new water bottle holder is integrated with it. New Accessories: The riding bike has a new Reading Rack and a Wind Screen. Warranty: The warranty offered for ‘Schwinn AD6 Airdyne Upright Bike’ is very fine. Buyer will get 15 years Frame, 2 years electronic parts and 1-year mechanical parts warranty. Seat Flexibility: You will feel an issue with the seat of the bike after some time. Belt: The belt is likely to break after few months of use. The customers, as can be seen, have rated the product well. Overall, the AD6 has got 8.0 ratings by the customers who bought the machine for their home gym. Don’t have enough time to hit the gym? Is limitation of space restricting you to buy exercising bikes for home? Well, Recumbent bikes are your best friend for healthy exercise routine within your home. And with the Exerpeutic 400XL Folding Recumbent bike even space will no longer be a problem. Use it, fold it and store it, simple! From the house of a famous American manufacturer Paradigm Health and Wellness, The Exerpeutic 400XL is of high quality and has the competitive price. The exercise bike is a top notch given its features, especially the semi-recumbent design that makes it convenient to mount and fold up after exercising. While you read through this review. You will get to know the features of the Exerpeutic 400XL along with what’s right and wrong about this exercising bike. Resistance: with eight different levels of magnetic resistance, the 400XL motorcycle is perfect for all levels of exercising. All you need to do is adjust the strength with the help of a knob that is placed underneath the console. ● Display: The Exerpeutic semi-Recumbent bike comes with a good LCD that can display all workout stats efficiently. You can check, speed, Distance, time, pulse rate, calories burned along with the scan and odometer functions on this 3”X1.6” display. ● Flywheel: The 400XL foldable bike is coupled with double drive V-belt transmission system and wheels with precision balance which imparts it extra smoothness in functioning and also give it quietness in performance. ● Seat: the seat of this exercise bike is adjustable and has a backrest as well. It can easily accommodate people of different weights and heights. ● Pedals: the pedals are very comfortable as they are large and have straps as well. Thus they provide a secure grip eliminating the chance of slipping off. ● Foldable: the best part of this bike is that it’s foldable, that too is very simple. All you eyed to do is remove two pigs, and the bike folds back itself, and you can store it easily. ● Movable Wheels: no more bragging or lifting heavy bikes. The Exerpeutic 400XL comes with transport wheel which makes shifting or moving the bike easily.Now that you know it features let’s take a look at the hits and misses of this bike. The 400XL Exerpeutic foldable bike is very compact and light in weight which makes it easy to move and store and relocate anywhere in the house. ● The bike is made of suitable quality material and has a solid build, sturdy and durable, making your workout stable. ● The pedals are smooth while the belts provide a smooth and noise free movement of wheels giving a smooth ride every time. Even at high speed the bike doesn’t shake or make any noise. ● It provides a noise-free performance so much that you can use the bike while watching your favorite show on television as well. ● Assembly of Exerpeutic foldable bike can be very conveniently done at home and does not require any expert assembly. It takes on an average 30 minutes to assemble the bike. ● It comes with a manufacturer warranty of one year. ● Although different people have different experiences, mine was a not so good one with the bike seat. It is uncomfortable as it’s hard and smaller for heavier people. Well, Using seat cover or towel over it might do some help though. ● The accuracy of the monitoring system is bit doubtful. The pulse rate tracker does not give accurate readings. Moreover for knowing the calorie burned you have to feed in inputs like your height, weight, and what you took for food, etc. but in this model, it just gives rough estimates based on pre-fed data. ● Although customers are liking the product but given the price-quality ratio, the bike doesn’t feel a very durable product. Well, since it’s evident now, the ‘ good’ about the bike overweight the ‘bad’ and given its low price and strong brand name, it is one bike you can surely give a try. Given its super utility foldable feature, this is sure a good fit for smaller houses and of course a healthy you. Schwinn 130 Upright Bike is the most searched exercise bike in Schwinn Series. Highlights include 22 preset programs, dual track LCD window system; Connect goal tracking and 20 resistance levels. A generous ten years Frame Warranty catches the deal. The Schwinn 130 Upright Bike is the most rated exercise bike for non-commercial use. With this upright bike perform 22 different exercise programs. It has 8 programs that are targeted towards beginners as well as trained in equal proportion. It has two LCD display to track exercise and record data to give you precise details of your fitness. The second top Upright Bike in Schwinn Series is the Schwinn 130 Upright Bike. This non-commercial exercise bike is sold with a frame warranty of 10 years and is designed for your house only. The bike supports comfortable and well-managed cycling along with programming for your workout. The Schwinn 130 Upright bike helps you in stabilizing your muscles while making the balance of your body weight during cycling. Being the features easy to use, a unique console has been designed keeping you in mind. This product uses a high-speed, high inertia perimeter weighted flywheel, in-console speakers and 20 levels of resistance for your hard workout. Another built-in feature given to the riders is contact heart rate monitoring. They can quickly examine the pulse rate of their heart on the screen. You can use Schwinn Connect Website for your progress tracking. Is this the exercise bike you are searching for? Here are some Pros and Cons of Schwinn 130 Upright Bike for making your decision easy. Dual Track LCD Window System: Schwinn 130 Upright Bike has a fantastic system of Dual track two LCD window that allows the rider to monitor the 13 different displays. There are 2 displays, one main display and another one as the secondary display. The primary display is larger while the secondary one is smaller. Workout Programs: This exercise bike has pre-defined 22 programs including 9 profiles, 8 heart rate controls: 4 for beginners & 4 for advanced riders, 2 custom user-defined, and 2 fitness tests. The fitness test has 1 for beginner & other for an advanced user. Connect Goal Tracking: The Schwinn’s Connect technology in the bike will keep you updated about your fitness goal achievement. Resistance Levels: The riders can change over between 20 various levels of resistance for his easy-to-hard workout and vice versa. A high-speed, high inertia perimeter weighted flywheel, aligned by the resistance keep your workout smooth and quiet throughout the riding. Transportation: Being equipped with the transport wheels, the bike has a smooth movement throughout. You can move it from room to room without any problem. Exercise Data: The workout feedback to the riders includes time, distance, and calories. Also, the goal tracking is compatible with MyFitnessPal. Adjustable Handlebars: This bike offers one of the most handlebar adjustments in the Schwinn series. The handlebars are angle-adjustable for the rider’s comfortable riding position. Speakers & Fan: The bike supports acoustic chamber speakers that produce big quality sound. Also, a 3-speed fan is provided in the bike to keep you cool during your riding. Padded Seat: The bike has a padded seat for your ideal comfort while you ride. You can easily exchange the seat through the seat post system. Water Bottle Holder: A water bottle holder over in size is attached to the frame. USB Port: A charging USB port is also present that supports data exchange too. Sturdy: The bike can help a user of maximum weight capacity 300 lbs. Warranty: This product has a very user-liked type warranty. Owners get 10 years warranty for frame, 2 years mechanical warranty, 1-year electrical warranty and approx. 90 days of labor warranty. Pedaling: The rider’s shoes gets bang again the crank of the pedal with every rotation. Fan: Most of the times, the fan does not work properly. Resistance: Sometimes, the resistance system does not offer any resistance to the rider while pedaling. Riding at the highest level seems to be riding at the first stage. Schwinn 130 Upright Exercise Bike is an ideal bike for beginners and trainees. The frame of the bike is light and pedals are small. It is best preferred for losing weight, and for cardiovascular workouts, improvement of strength, and muscles toning. Teenagers can make the best use out of it since it is an upright bike, it works on both the upper and lower body simultaneously. Losing weight and becoming fit is a lot r now. Bike best suits for people who are willing to do vigorous workouts. Since it doesn’t have a back support, it isn’t comfortable for Seniors. Teenagers and youth can ride the Schwinn 130 bike without any difficulty. The Schwinn 130 Upright Bike has 80-20 ratio when it comes to the reviews of customers who bought the product. Positive reviews, as per their sayings, have featured the bike entirely and declared this exercise bike as the best one to buy. But, the negative reviews are of mixed values. Someone has the problem with the fans, while the other one complaint of the pedaling behavior of bike. 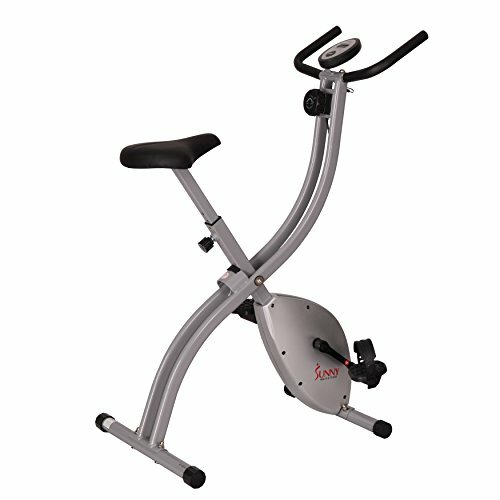 Schwinn A10 Upright Bike is an iconic exercise of very low price bike in upright series. It is used for healthy and active lifestyles, the bike is a great machine for your cardio needs. Highlights include simple assembly, a unique console designed, a data screen, seven workout modes, and a sound system. The manufacturer provides a warranty of 2 years for frame, 6 months for machine parts and 6 months for electrical issues. Schwinn A10, being a good choice for new ones, offers an outdoor bike feel in a packed design. You can balance the weight of your body while riding using your core and stabilizing muscles. With eight resistance levels, the bike features an eddy current resistance system that is controlled by a computer. Several different programs are available for your workout that keeps you fresh. Monitoring workout readings such as RPM, speed, distance, time and pulse on the provided LCD console is very easy. Schwinn A10 is bike powered by the battery, includes adjustable T-knob handlebars, a grip heart rate monitor, a padded saddle and flat platform pedals. Having much better stability on the feet level, this bike will also boost the metabolism of your body. Here are some Cons & Pros for the product. Console: Large LCD window of 5”*3” dimensions will show you feedback of 8 different displays. Quick Start facility is also available with the 6 programs that present you with a variety of challenges. Seat: You will get a padded and outlined seat making your ride comfortable. The seat is movable and can be raised up or down to fit the maximum number of users. Resistance: The eddy current system supports Resistance. There are 8 different levels of resistance in the bike. Smooth Workout: A high speed weighted flywheel maintains the smoothness of your workout and keeps it quiet. The flywheel is of high inertia perimeter that rotates very fast. Handlebars: The handlebars used in the exercise machine can be rotated and moved in vertical direction. These are angled handlebars that help you in finding best-suited hand positions. Pedals: The pedals are designed ergonomically, providing the rider an efficient and comfortable pedaling. Also, you can stand up on the pedals while riding the bike. Small Footprint: The Schwinn A10 upright bike covers up very little space. Measurements are 27.5″ L x 16.5″ W x 47.5″ H only. Easy Assembly: Schwinn A10 is easy to assemble having very few components which require 20 minutes or even less. So, the assembling the A10 parts is not that rough & hard. Water Bottle Holder: A water bottle holder is attached to the frame. Speakers: Not very, but little high sound speakers are available for use. Transport Wheels: The transportation wheels used on the bike are of best quality for its easy movement from one place to another. High Capacity: The maximum weight of the user the bike can withstand is 275 pounds. However, the workout bike is not suitable for a person weighing much as he/she would need a large machine for them. More Add-ins: A media tray and an MP3 input port are present for user reliability on such types of gadgets. Uncomfortable Seat: The seat is uncomfortable for most of the users. Extra padding is needed along with gel seat cover. Batteries: These need to be changed every 10 hours which can be expensive. Media Tray: The iPad kept on it will block the display screen. With an overall rating of 4.1 out of 5, customers who bought ‘Schwinn A10 Upright Bike’ are satisfactorily doing their regular workouts with the product. Due to the low price, the buyers like the deal. It is a basic trainer but has some convenient and useful positive points. Most of the customer’s reviews are positive. When it comes to exercise at home then an upright exercise bike is the best. The Schwinn A10 Upright Bike has been rated the best exercise bike, it comes with a warranty of 2 years and has a very high comfort level, making exercise at home easy and fun, and the best part is that it has seven exercise modes with a LCD display. R72, a compact version of modern R72 Recumbent bike, is super affordable, and it is manufactured by the well-known brand i.e. Sole Fitness. Recumbent bikes provide a little amount of impact and most amount of support. It’s best for people having a foot or joint issues. Sole Fitness patented pedals have a 2-degree inward slope for better biomechanics. It has a large 7.5” display screen plus ten workout programs. Its total weight is just 121 pounds. For easy mobility, it has two upfront wheels. It is small as compared to other recumbent models. Its footprint is 52”*29”. This bike is compatible with iPod. Sole R92 also has a port and speakers for an MP3 player. R92 has two heart rate programs. They automatically control bike’s resistance so that your target heart rate remains maintained during exercise. It also has a cooling fan which is built in the console. It has a commercial steel frame. It has an inward Pedals slope for natural motion. SOLE R72 has ten built-in workout programs. You can play your songs while doing the workout. It has a Low sale price. Sole Fitness’s customer service is excellent. This bike has a short warranty for the price it costs. There are no other entertaining and tracking options. There is no wireless heart rate monitor, capable with this bike. This recumbent exercise bike offers many options so that you can make your workout interesting and challenging. It has 20 levels of resistance, ten built-in workout programs, and heart rate programs. 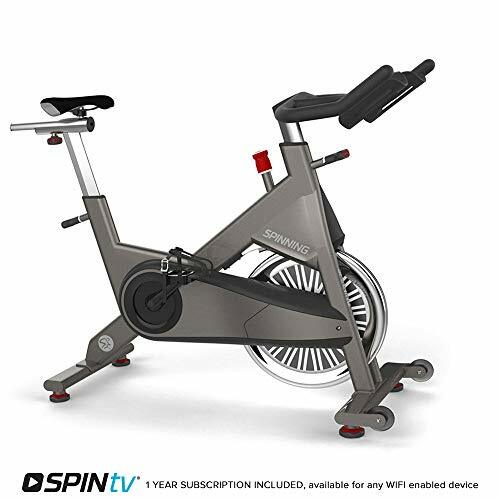 This exercise bike offers built-in cooling fan and MP3 compatible sound system. To keep users hydrated, it has a built-in bottle holder. The seat of this bike is adjustable, and it has 14 positions to suit riders of different heights. This bike is an excellent value for money. It is one of the most solidly built recumbent bikes under $800. It is for mid level user. But if you want to achieve more, then a recumbent bike with more resistance would suit you. It is an entry-level model, and it is designed for low-impact exercise. Though anyone can use it, it is particularly useful for people having back pain, or they are recovering from injury. When it comes to price, this bike has best features as compared to others. Overall, this is a top option for $799. We have found that the Sole R72 Recumbent Bike has many good things but a few negatives also. However, the good outweighs the bad. You can purchase this bike manually or online. It is available on (www.Amazon.com).